Secondary Unit Text: transf. to (457212) 456th Agricultural Coy. Additional information: Son of John and Maggie Robertson; husband of Annie Gordon Robertson, of Inchabellie, Alves, Forres. Born at Rothes. 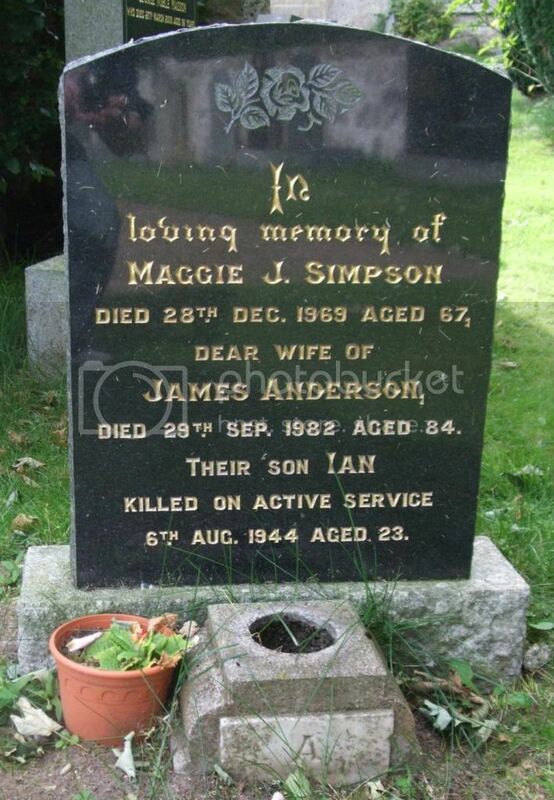 Son of James and Maggie Jane Anderson, of Crook of Alves, Morayshire. Son of William and Ann Watt Anderson. 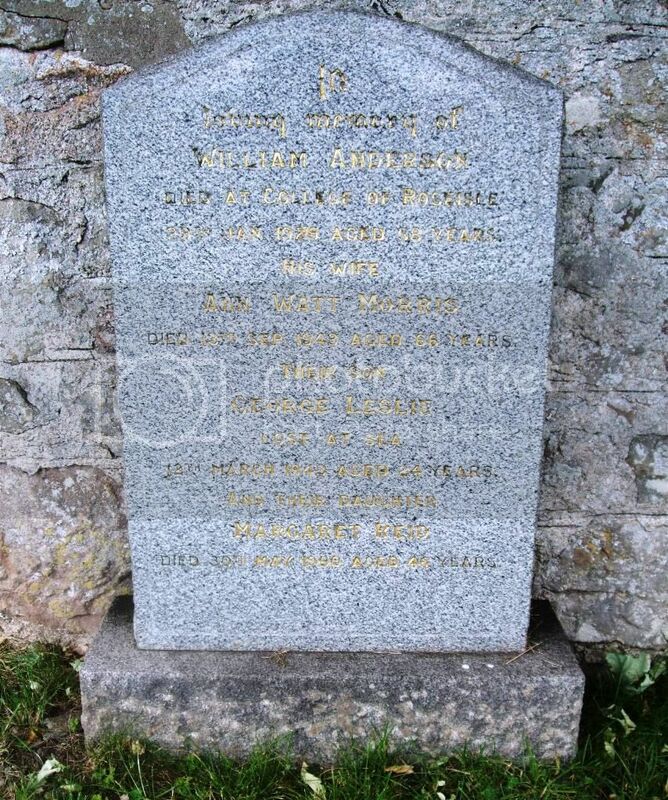 In loving memory of William Anderson died at Roseisle 29th Jan 1929 aged 58 years. His wife Ann Watt Morris died 13th Sep 1943 aged 66 years. Their son George Leslie, lost at sea 12th March 1943 aged 24 years. And their daughter Margaret Reid died 30th May 1950 aged 46 years. 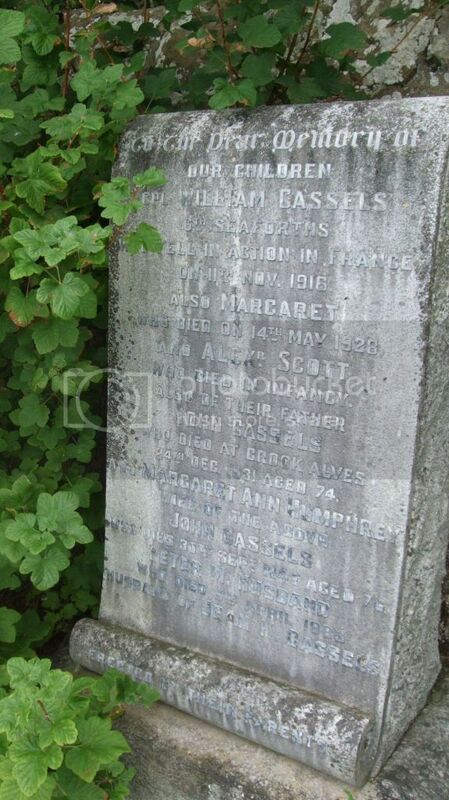 Son of John and Margaret Cassels, of Alves, Forres, Morayshire. 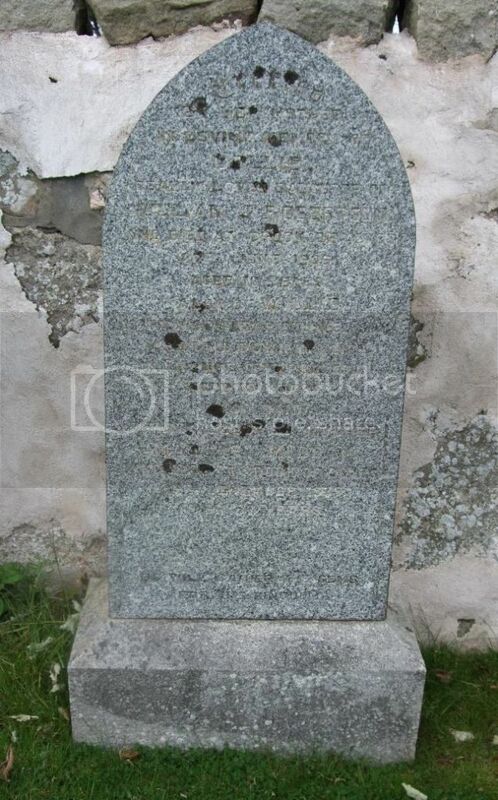 Grave ReferenceEnclosure No.6 V. A. 18. 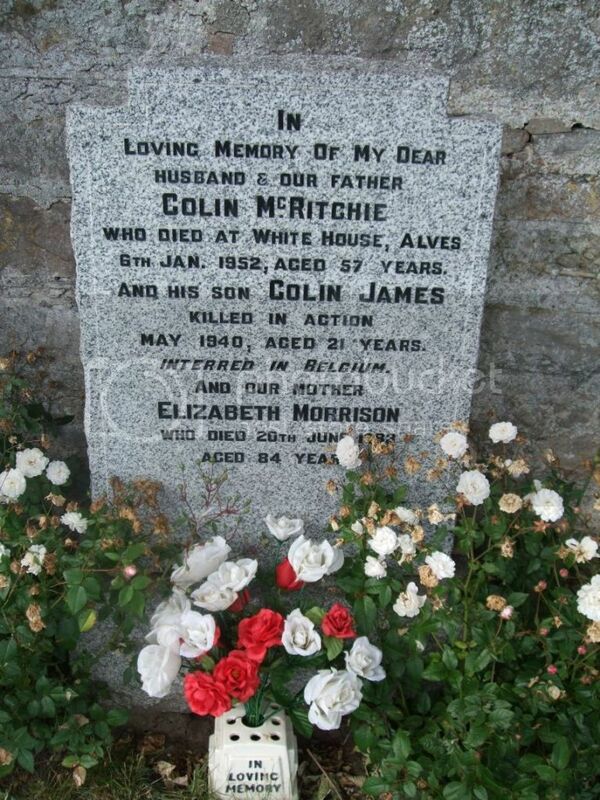 Son of Colin and Elizabeth McRitchie, of Alves, Morayshire. 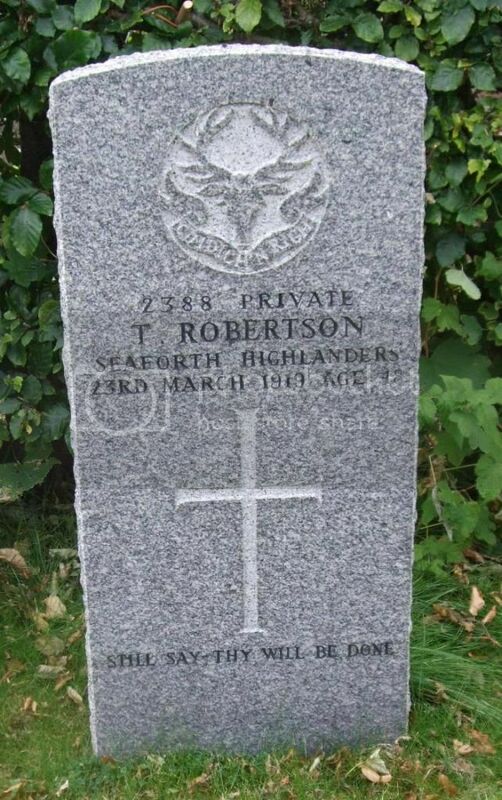 Son of Marjorie Robertson, of Crook of Alves, Forres, Morayshire, and the late William Robertson. Erected by her mother in loving memory of Dollie beloved daughter of William T Robertson who died at Crook of Alves 27th June 1906 aged 10 years. 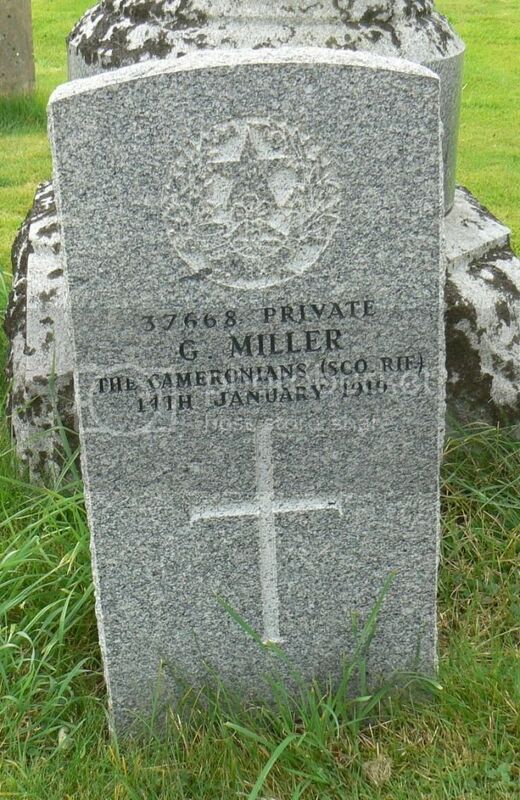 Also of Willie youngest and dearly loved son who laid down his life in France 9th April 1918 aged 19 years. 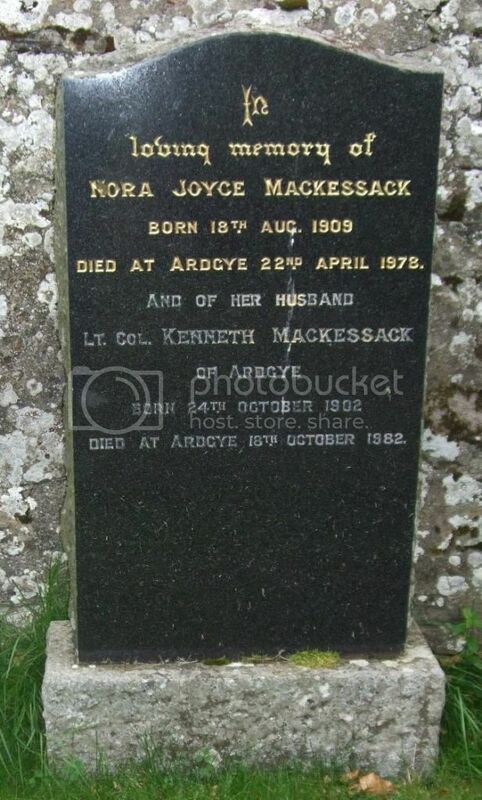 Their beloved mother Marjory McBean died at Crook of Alves Dec 1935 aged 57 years. 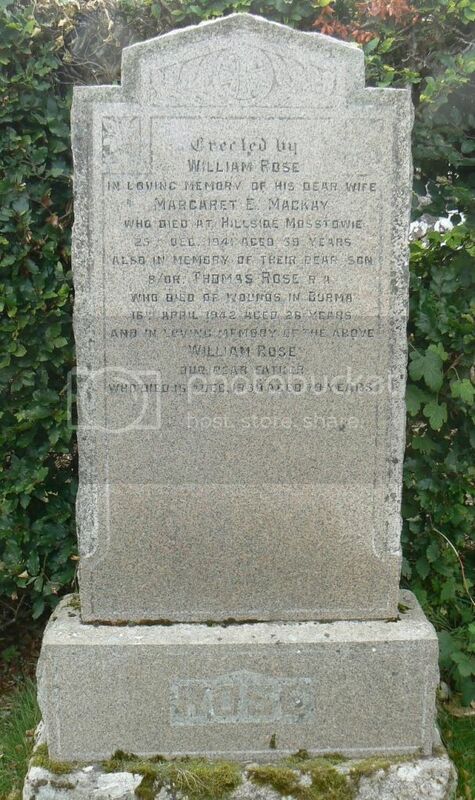 Son of William and Margaret Elizabeth Rose. Regiment/Service:Royal Air Force 617 Sqdn. 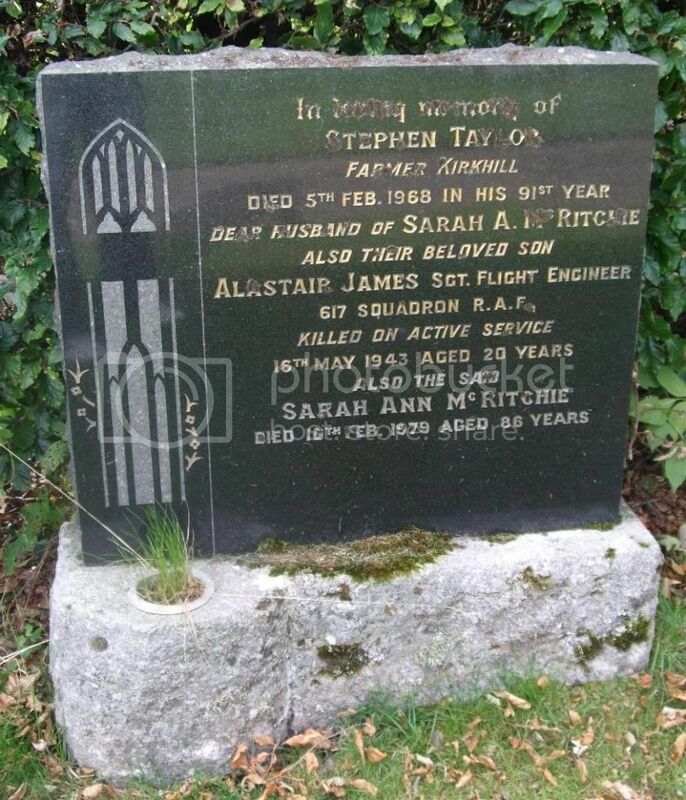 Son of Stephen and Sarah Ann Taylor, of Alves, Morayshire.